Elder sister of actor Dennis Neilson-Terry. 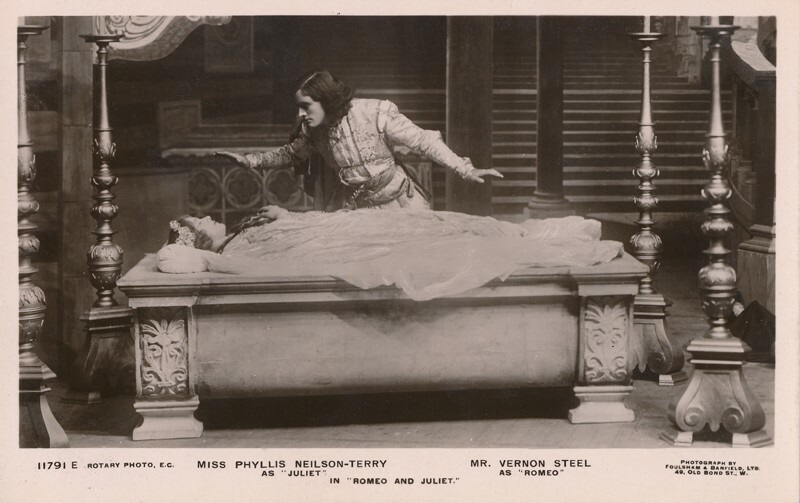 Daughter of famous Shakespearean actors Julia Neilson and Fred Terry. 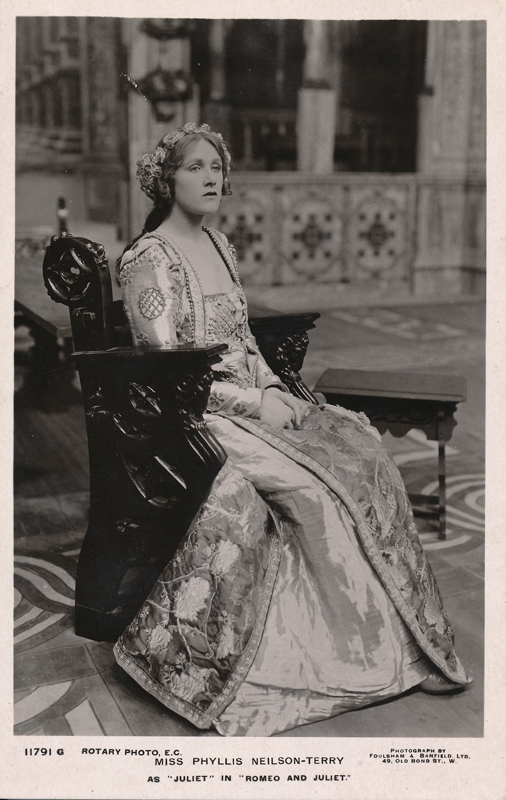 Niece of Dame Ellen Terry. Born in London in 1892, Phyllis was in good company. She studied in Paris and then at the Royal Academy of Music to be a singer. 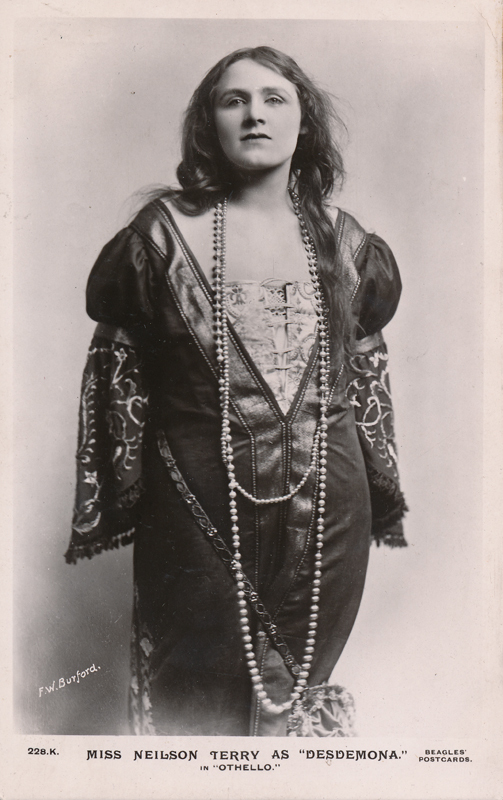 She made her first stage appearance in 1909 while on tour with her parent’s company in Blackpool. A few times, she would fill in for her mother when the latter would fall ill. 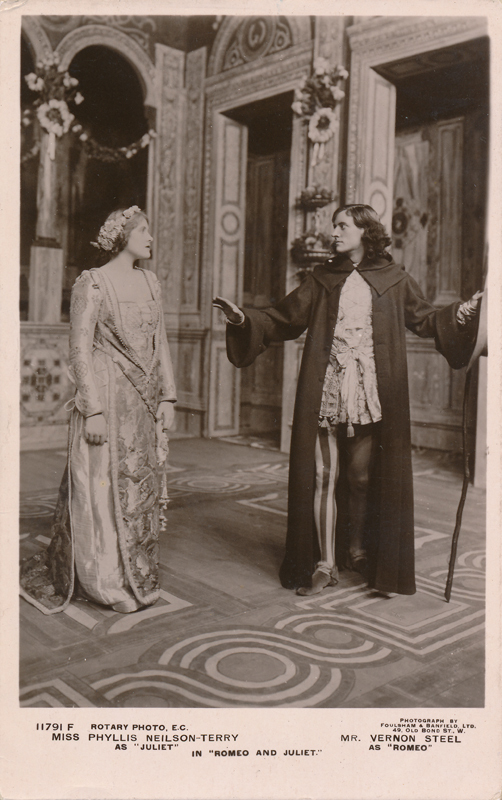 Her acclaim in Shakespeare came early on with a 1910 production of Twelfth Night with Sir Beerbohm Tree‘s company at Her Majesty’s Theatre. Phyllis played the leading role of Viola, while Tree played Malvolio and her father, Fred, as Viola’s twin brother Sebastian. As such, Phyllis replaced Ellen in the role she would play opposite her brother. 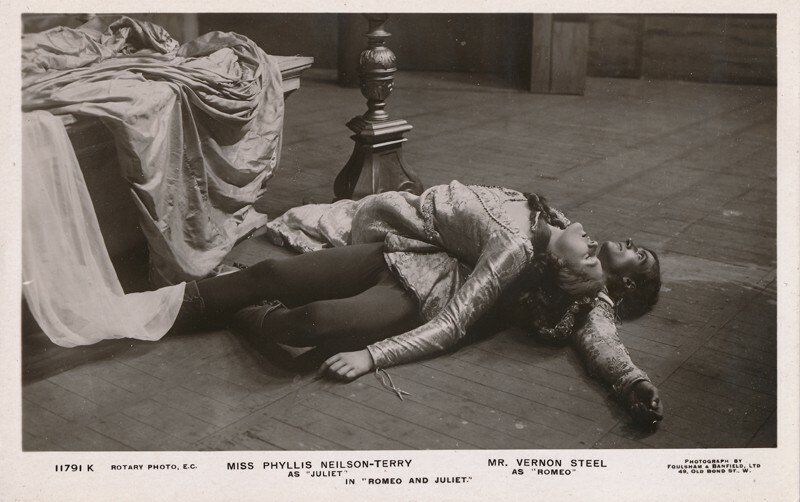 For the next four years, she went on to play many of Shakespeare’s leading ladies, much in the legendary (and expected) Terry/Neilson tradition: Desdemona (Othello), Rosalind (As You Like It), Portia (The Merchant of Venice), Juliet. 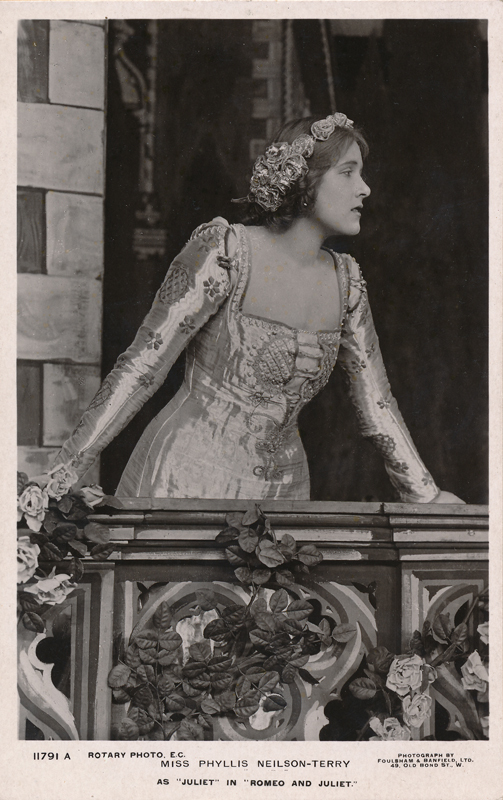 Many of the cards here represent her performances as Juliet as well as other coveted roles. She was lauded extensively for her portrayals. 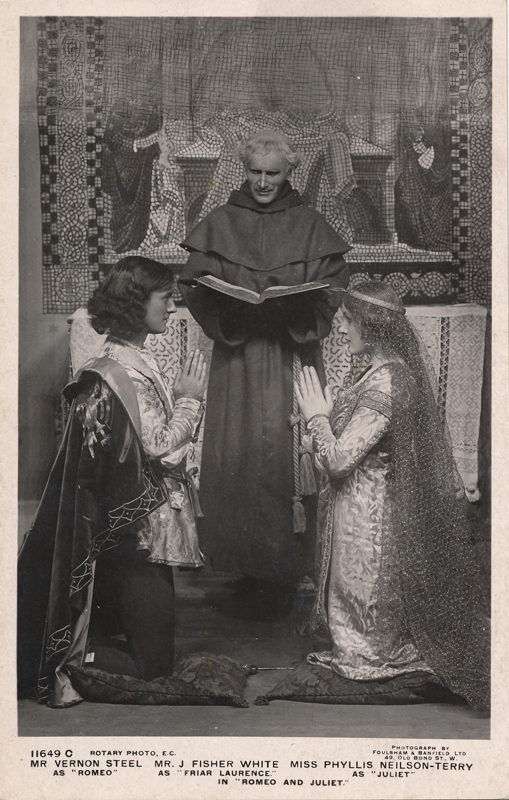 Likewise, in the 1930s, Phyllis played the roles of Lady Macbeth and Queen Katherine in Macbeth and Henry VIII, respectively, at the Shakespeare Memorial Theatre in Stratford. 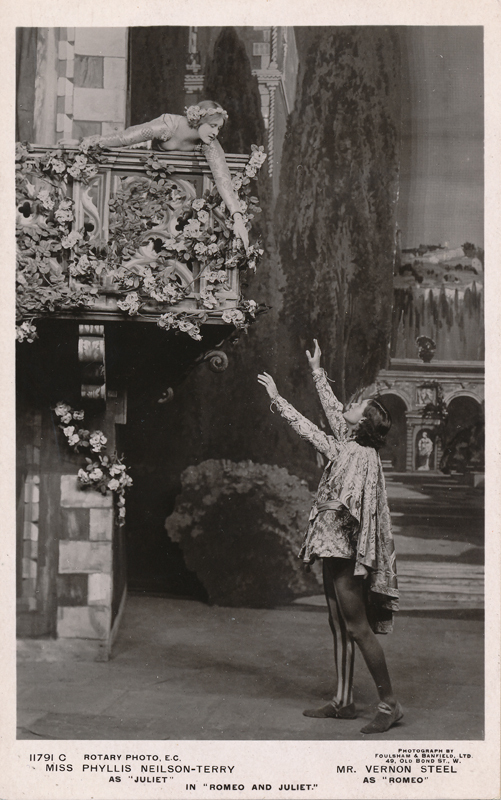 Legend has it that Phyllis, in 1922, gave her young cousin John Gielgud his first ever paid role in The Wheel by J. B. Fagan. She died in London at age eighty-four after having been married twice.